Wash turkey thoroughly and pat dry with paper towels. 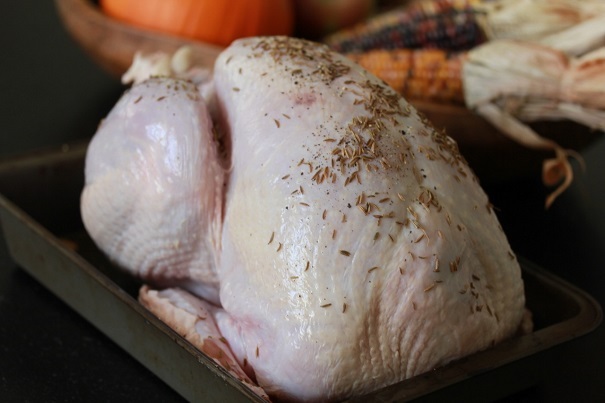 Place in a large roasting pan, and sprinkle with salt, pepper and caraway seed. Put bouillon cubes in bottom of roasting pan, to dissolve in the juices that will collect in the pan as the turkey roasts. Bake for 15 minutes per pound at 375 degrees. Baked uncovered, but if turkey starts to brown too quickly, cover loosely with foil. To test for doneness, stick a fork in it (now you know where that saying comes from) and if the juices that run out are clear, the turkey is done. 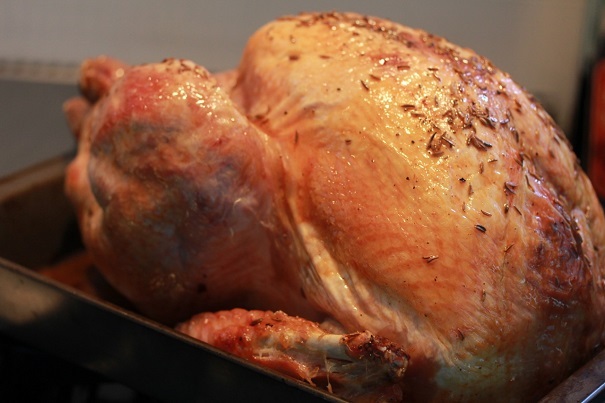 Remove from oven and allow turkey to rest 15-20 minutes. The turkey can be carved in the kitchen or at the table; we prefer to carve in the kitchen, so that the turkey is hot for everyone. Drizzle with gravy before serving.